Immerse your feet into the Silent Padders slippers which enter you into a world of luxurious comfort. Surrounding your feet in a full, boot slippers style, the soft fleece hugs your feet with warmth keeping you cosy and snug while the memory foam insole contours to the shape and curves of your feet with every step furthering comfort. Look good, feel good and smell good in these slippers featuring a sweet smelling vanilla outsole. Showing 2 of our total 3 reviews, with an average rating of 5 stars. 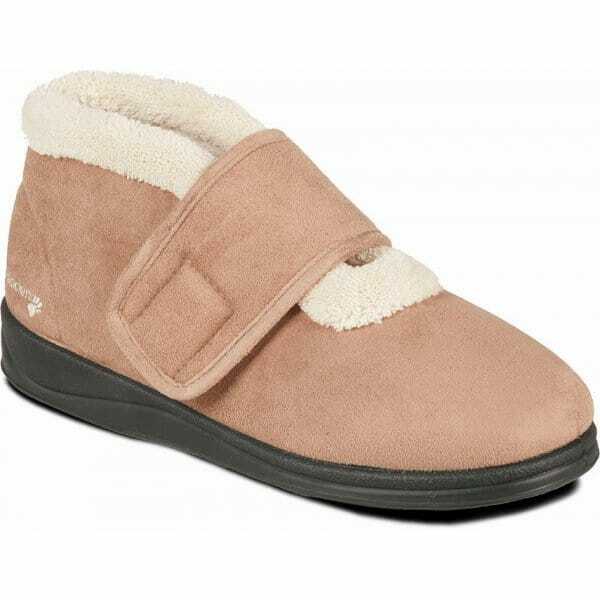 Read all 3 reviews for Padders SILENT Ladies Microsuede Extra Wide EE Fit Boots Slippers Camel. I bought these slippers for my 87 year old Mum, she loves them! Very warm and comfortable with a good sole so she is confident she won't slip in them. We are very happy with our purchase!